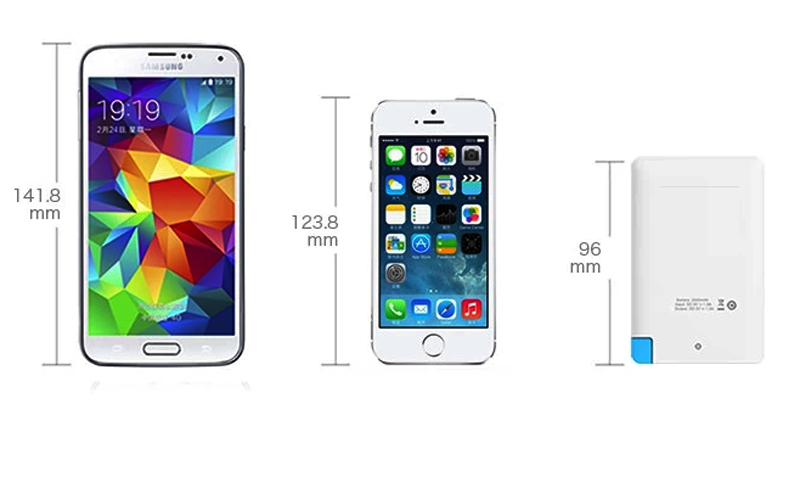 The unique ultra slim powerbank is always by your side. 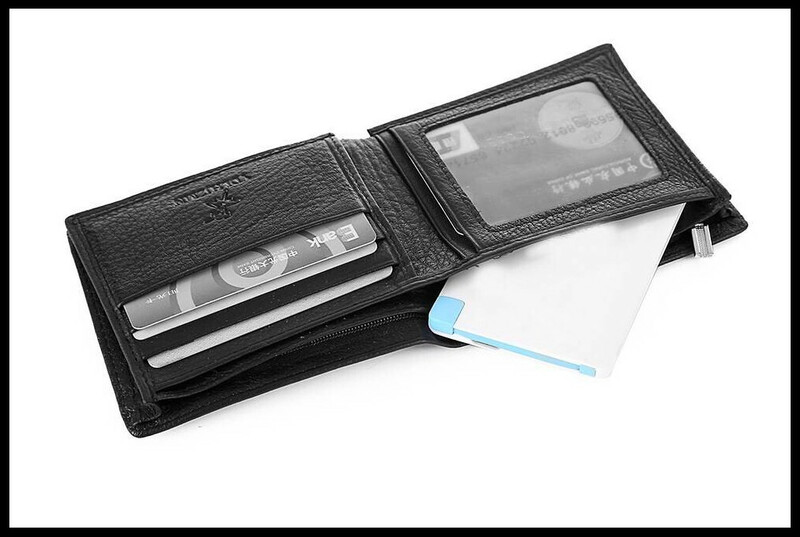 It is so compact that it will fit conveniently in your shirt pocket, wallet, purse or handbag. You will never have to worry about your phone, iPad, camera being out of battery when you are out and about. 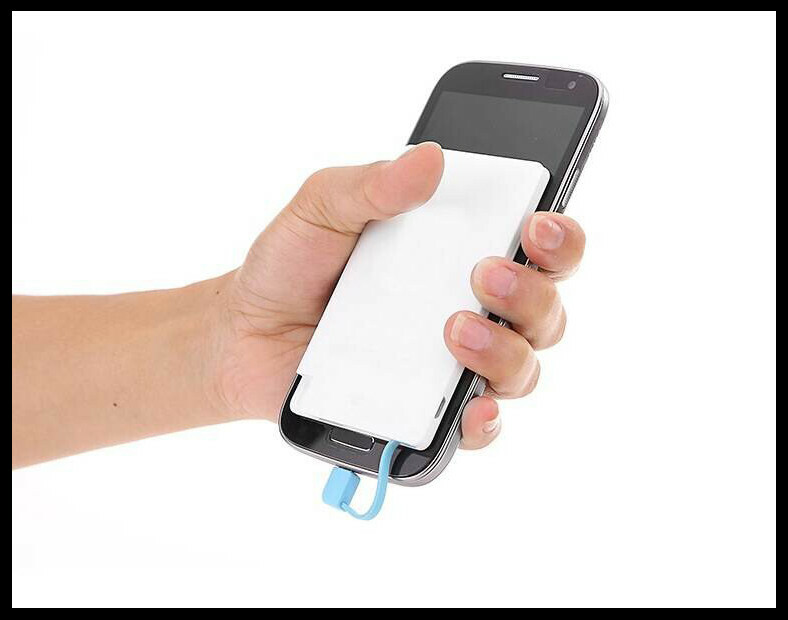 This powerbank will be at hand to charge your device instantly. What Sets this powerbank Apart From Other Power Banks? Inconspicuous compact size and light weight about the Same height and width as a playing card. Extremely versatile with a built-in cable for micro USB devices. The most popular feature is the on board lightinng adapter for Apple products including iPhones, iPads, iPods. When you don't want to carry so much around, you can still have the Ultraslim powerbank on your person without noticing. Perfect to take anywhere at anytime. One year product warranty. No questions asked.